When it comes to you choosing the kind of bracelet you want to buy then keep the following points in mind. In order to make sure that you get the most out of your investment, you need to think about your own personal style when deciding what style of black Japanese Akoya bracelet to buy. Looking for a piece of jewellery that will never go out of fashion, that is also versatile, then look a choosing a 6-7mm black Japanese Akoya bracelet with a yellow gold clasp. This particular type of bracelet won’t look out of place when you wear during the day or when going out in the evening. If you like to wear more modern outfits the pair your outfits with a silver or white gold clasp. 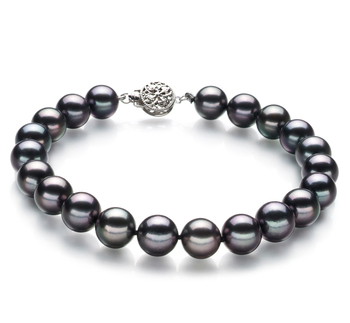 Ideally, choose a bracelet that is made up of AAA graded pearls as the luster on these is exquisite and speaks volumes to refinement and glamor. If you love to wear more comfortable clothing then your outfit will look stunning if you choose to team if with any kind of black Japanese Akoya bracelet. One with smaller pearls won’t overwhelm your outfit but will help to subtly enhance the entire look you are trying to achieve. If you want to keep the accessories with your outfit playful then a bracelet that is made up of larger pearls would be ideal. The large pearls make it much easier to transition from wearing a cute dress during the day to more formal wear at night. To further enhance the beauty of one of our double strand black Japanese Akoya bracelets team it with a matching pair of stud or drop earrings. 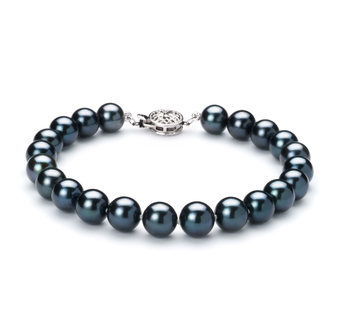 A black Japanese Akoya bracelet is going to add a touch of sophistication to any outfit that you like to wear. This short guide should help you to better understand which style of bracelet will suit you best. This is what some women see as a very minimalistic piece of jewellery. 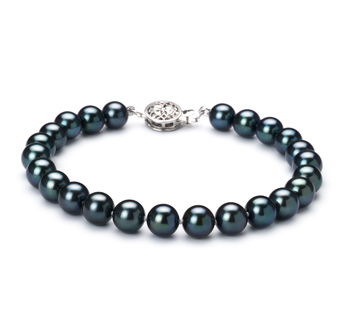 A single strand Japanese black Akoya pearl bracelet provides you with an easy way to include pearls in your wardrobe. The 6-7mm pearls in our collection look great when worn with casual attire. 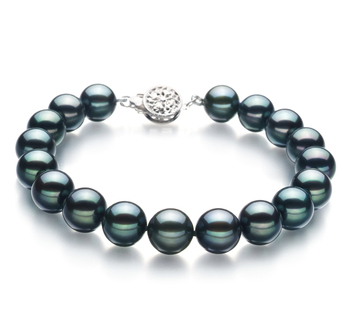 Whereas the single strand bracelets that contain larger pearls will look good paired with semi-formal or business wear. 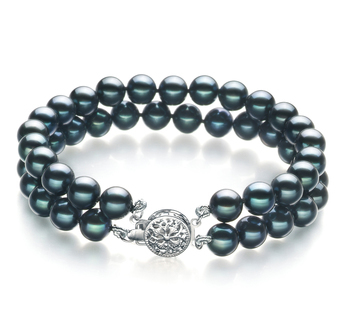 A double strand black Japanese Akoya bracelet looks very distinguished and elegant on any woman’s wrist. This is the type of bracelet that is ideal for wearing on special occasions such as a birthday party, or a black-tie event. Would look stunning when you team it with a long formal dress and a matching pair of black Akoya pearl earrings and a black Akoya pearl necklace. Each of the black Japanese Akoya bracelets in our collection is fitted with a silver clasp that further enhances the subtle colors and overtones of these stunning pearls. Plus the further addition of the silver clasp enables you to pair it with a wide variety of other jewellery pieces such as a simple black Akoya pearl pendant. As well as making the perfect gift for yourself such bracelets would make the ideal gift for someone close to you. What woman would not be happy to receive any item of jewellery that includes pearls in the design? So why not take the time to peruse our collection we are sure you are going to find a black Japanese Akoya bracelet that you would love to own.